Is a website worth $15,000, $20,000, $50,000? It’s often hard for a business owner to measure return on an investment. But results from websites are measurable, right? So shouldn’t it be possible to figure out if a website will pay for itself? Is there a way to estimate this ahead of time? Sure there is. Tony maintains unicorns for people. He’s been doing this for a while and he’s good at it. 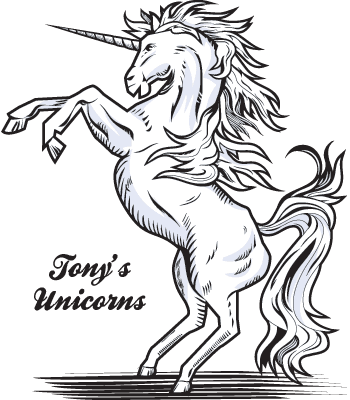 But sometimes it’s hard to find people with unicorns that need maintenance and Tony needs more leads if he’s going to grow his business. As soon as he started talking to people about a new site, he learned that the price range is huge. He’s hearing numbers from $1,500 to $25,000 and more. So how much is this site worth to Tony? How much business will he get from it? How many leads would it need to generate to pay for itself? What is the return on this investment? Let’s figure it out. Well, he won’t get any leads if he doesn’t get any traffic. Tony has a relatively unknown brand. He’s in a small niche and he’s really hoping that search engines will help people find him. To estimate search engine traffic, he’ll need to investigate the “search volume” of his top keyphrases (how many monthly searches are there for “unicorn maintenance”?). If the new site ranks high for these phrases, people will see Tony in the search engine listings and some of them will click. The percentage of searchers that click on Tony’s listing is the “click-through rate”, or CTR. Each click is a visit! Looks complicated, but this is just a formula for estimating search engine traffic; the higher the rank, the more popular the phrase, the more impressions and ultimately, more visits. Fortunately for Tony, his cousin Dale is a web strategist. Together, they research keyphrases and check search volume in Wordtracker and Google Adwords. They check the competition using SpyFu and Alexa. Then they estimate click-through rates by looking at similar sites in Google Analytics and Google Webmaster Tools. They decide that with a well-optimized site, they can eventually expect 1000 targeted visitors per month. Getting traffic from search engines is great! But it’s not the same as leads. Even if people looking for unicorn services find Tony, they’re not leads, they’re just visitors. When a lead calls or fills out Tony’s contact form, they’re officially a “conversion.” The better the site, the higher the “conversion rate.” There are many factors that determine this, including design quality (brand loyalty, overall appeal), content format (text, images, video), the content itself (compelling, informative, relevant), and usability (navigation, easy-to-use form). Tony meets with Dale again to do more research. They study industry benchmarks and look at other mythical animal care sites. They assume the new site will be excellent – or at least good – in all of the conversion factors listed above. In the end, they figure a 2% conversion rate is attainable. Thanks again, Dale! So now, all he has to do is multiply the projected visits by the estimated conversion rate, and they calculate that the site should generate 20 leads per month. Now to convert the leads into actual customers. Dale can’t help here, but Tony has a pretty good sales process in place and he can close around 50% of his leads. Every time he does, he sells $1000 worth of unicorn maintenance services. It costs him about $500 in time and materials each time he provides this service. So generally speaking, the value of a lead to Tony is about $250. So now that we have all the pieces, we can put them together in a (very cumbersome but comprehensive) formula for estimating the return on the investment for a marketing website*. Now it’s time to do the math. Let’s plug in Tony’s estimates. If he can meet all of the targets above, the new website will bring in up to $5000 in profitable leads per month. In other words, if a $15,000 website ranks well and converts visitors, it will pay for itself in 3 months. After that, it will be profitable. Over its lifetime, the new site will likely generate tens of thousands of visitors, thousands of leads, and hundreds of thousands of dollars in revenue and profit. A great site is not enough. Tony knows it’s not going to be all sunshine and rainbows for his unicorn business. There is a lot of work to do. But he’s committed to web marketing. His plan is to promote the site and improve it over time. He’s going to do the ongoing work to get results in search engines. He knows that search engine marketing is generally slow. He’s going to keep creating content. He’s going to boost traffic with a new email newsletter called Unicorn Maintenance Monthly. 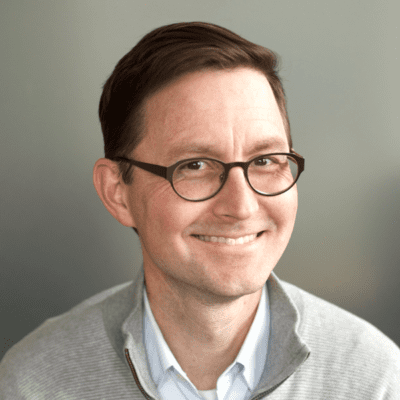 He’s committed to following up on his web leads and tracking them using a database (such as Highrise, SalesForce, etc…). And most of all, Tony is committed to providing a top-notch service, gently caring for these magical creatures. *There are other many other variables that could have been incorporated into this formula (including other sources of traffic, unicorn birth rates, etc.) but to add them all here would have made this article more confusing than useful. On the web, there is an inverse relationship between detail and attention span. But that’s a formula for another article! Unlike unicorns, ROI is real! Your article is very nice. A well maintained website increases its customer’s satisfaction hence increasing the hits of the website.